Belarus was mentally added to my Bucket List a few years ago. I was just killing time, looking at a map for new destinations to dream about. Minsk is not too far from Vilnius and Wizzair has really cheap flights to there from Bergen, so that was the route I chose. Do I need visa to go to Belarus? First things first; Yes*, most nationalities need a visa. If your country does not have an embassy or consulate of Belarus, you qualify to arrange the visa on arrival at Minsk International airport. However, the price is then higher (for me 90€, compared to 60€) than if you arrange it before. Check your details for visa to Belarus. After comparing back and forth quite a bit, I ended up arranging it before, even though using Visasupport AS had its additional cost as well. *New rules from 12 January 2017 allow visa free entry for citizens of 80 countries for stays up to 5 days, so check the rules for your country. However, you then must enter and exit at Minsk International Airport Terminal 2. Arriving at Vilnius Airport I found a mini bus right to the left when I exited, that took me to the bus station for 1 Euro. I had actually bought a bus ticket with the Wizzair bus when I booked the flight, but as I did not instantly see it outside, I went for the other option. It was anyway cheaper, so I would choose this option next time. Or, maybe even the train, as it is right next to the bus station. Since I was not sure if the flight would be on schedule, and also how long the transfer from the airport to the bus station would be, I did not dare to book the bus ticket from Vilnius to Minsk in advance. In hindsight, I would though. The bus from the airport to the bus station took only 10 minutes. For me it was not a problem buying the ticket when I arrived, but it can actually be sold out, so at least check regularly the availability online. And, if you have a long enough time lap to be sure to make it, why not book and get done with it? That is slightly cheaper too. The bus from Vilnius to Minsk operated by TOKS was nice and comfortable. 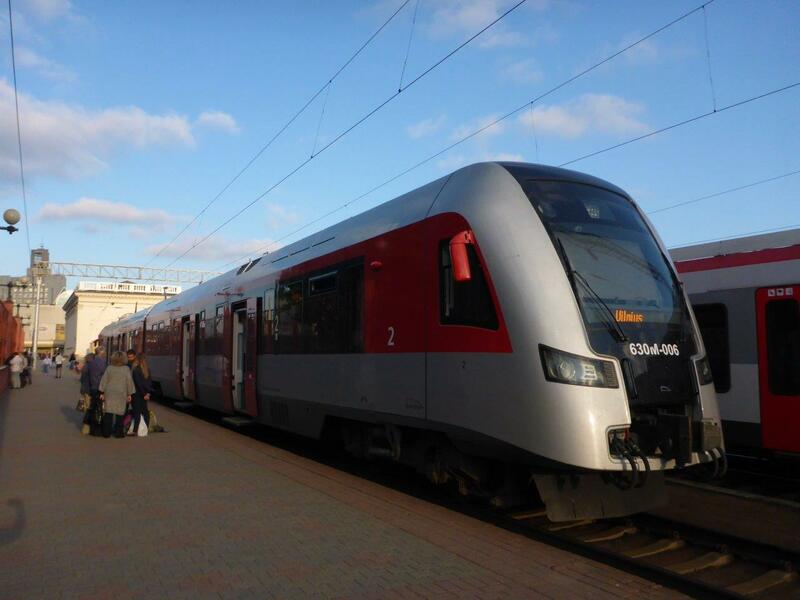 However, I would recommend taking the train by Belarusian Railway instead if it fits your schedule. Not only is it a faster route in general, but the passport control is done while the train is actually moving, making it more predictable as well. Taking the bus we actually had to check all our bags as well at the border. It goes without saying that the train was my choice getting back to Vilnius. As I have a Belarusian friend, I stayed over at his place, but there are several hotels in Minsk, such as Hotel Belarus or Manastyrski Hotel, situated in an old monastery. A number of apartments are also listed at Airbnb. If you are new to Airbnb you can sign up using this link, and get $25 off on your first booking. The train station in Minsk. Minsk in Belarus, a pleasant surprise!